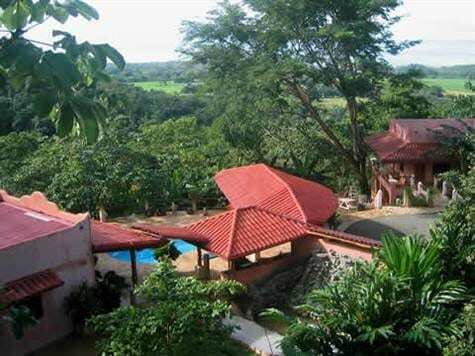 3 ACRES – GOLDEN VILLAS – 2 Villas, 4 Bedrooms, Pool and Rancho, Ocean View!! 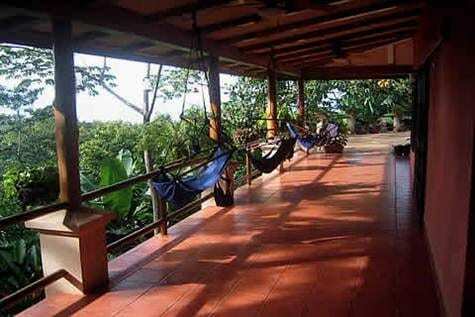 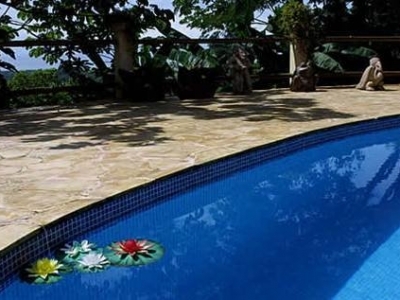 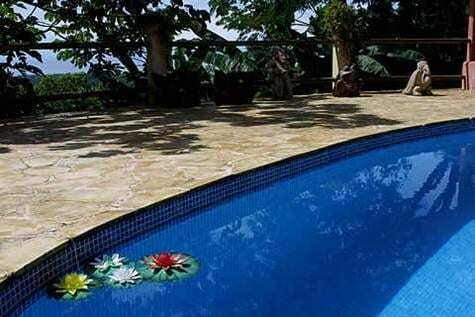 The Golden Villas are located on the beautiful southern pacific coast about 30miles south of Quepos and the Manuel Antonio National Park and only 10min from the small surfing town Dominical. 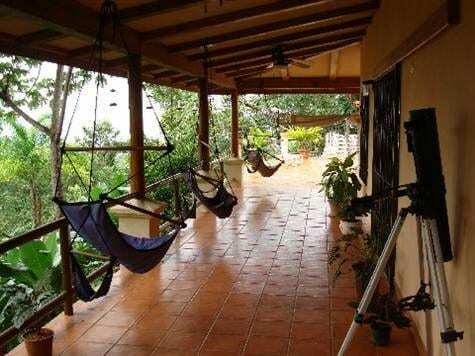 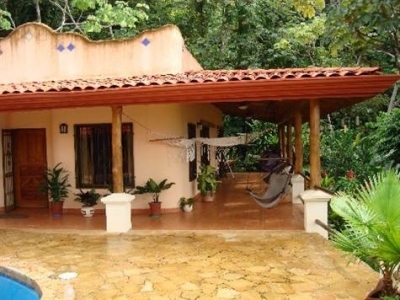 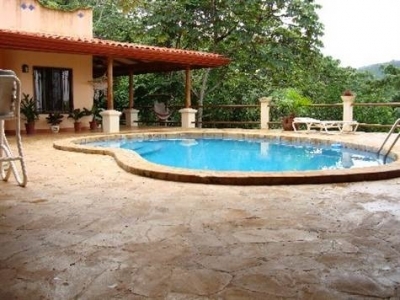 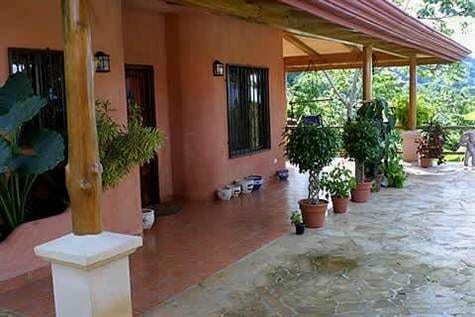 The property is situated on a hilltop about 5 min from the next beach. 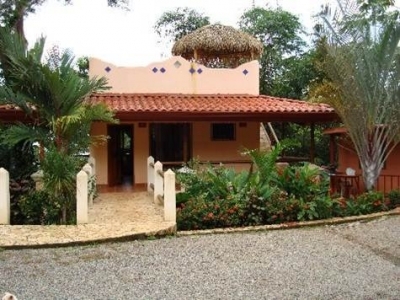 It includes two separate villas and sleeps a total of 12 people comfortably. 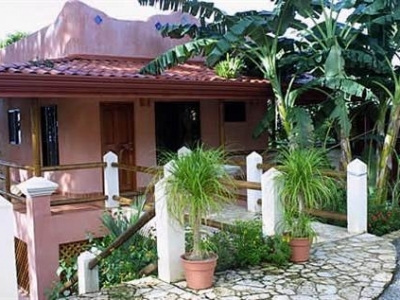 The first villa features one bedroom with a king size bed and an adjacent bathroom with a limestone shower and double basins. 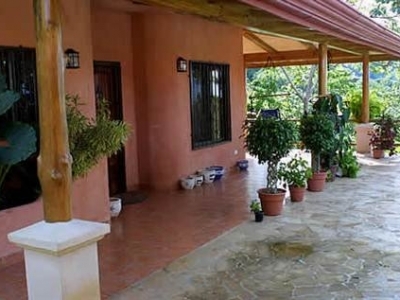 The open living room and kitchen spills out onto a 2,200 sq. 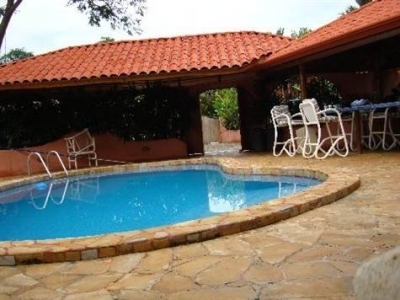 ft. wrap-around terrace with an irregular shaped private swimming pool in the middle. 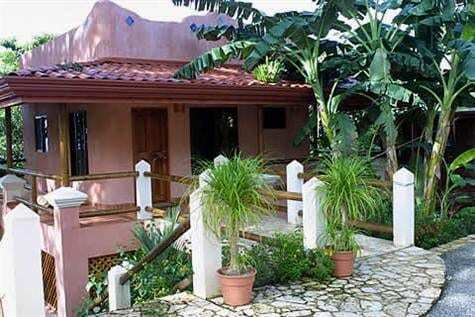 The second two-story villa has 3 bedrooms, one with a king size bed and 2 with a queen size bed and twin. 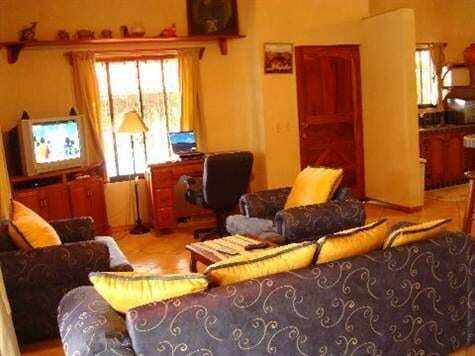 There is a small kitchen and the couch in the living room can be transferred into a queen-size bed for more sleeping possibilities. 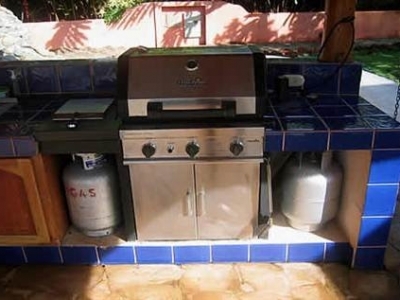 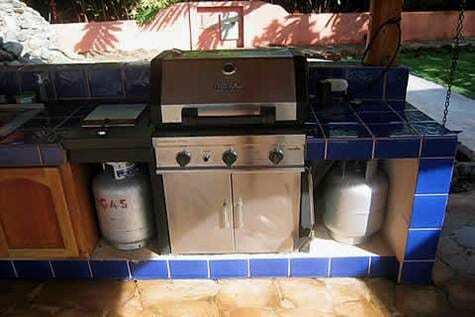 There is an outdoor BBQ & kitchen area, dining area, covered deck to get away from the sun and rain, gameroom with a pool table, hanging chairs, pool chairs, bar chairs, waterfalls, fishpond, tiki hut, 2 satellite TV’s, cell phone, Broadband internet, laptop computer, R/O water, ice maker, breadmaker, full kitchen, telescope, washer and dryer, dishwasher, nature trail, and much more. 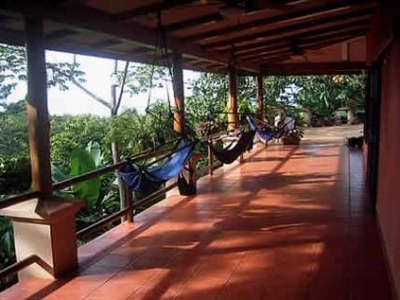 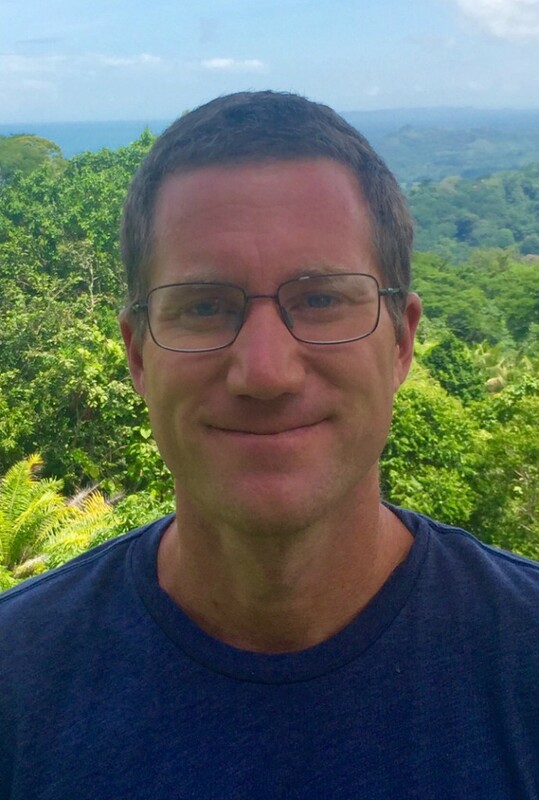 Indigenous wildlife that frequent Golden Villas include: Toucans and tucanets, parrots, hummingbirds, white eagles, falcons, wild turkeys, white face monkeys, and lots more. 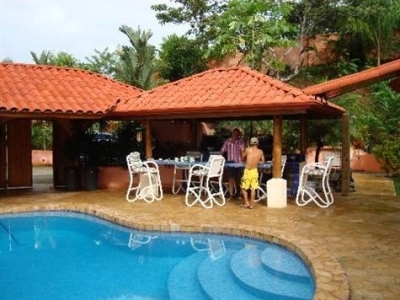 The villas presently rent for $150 – $300 / night.